If you know when you would like to travel but haven't decided where, here is a list of all available holidays travelling in December 2020. Maybe you are tied to certain dates, such as school holidays or certain periods of time off from work, below you can see a list of short breaks in travel date order for the month of December 2020. Browse the list of short breaks by coach below and click the holiday link for more information. You can of course book your last minute coach holiday online or by phone on 01943 433457. If you often like to book at the last minute, why not bookmark this page? We recommend you check it out regularly as sometimes we add extra capacity right at the last minute and apart from the usual fantastic low prices we always offer, occasionally we might add an extra little discount too! 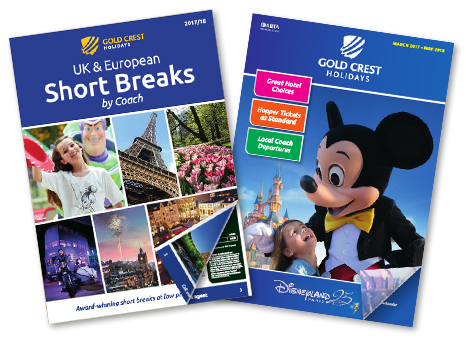 Gold Crest Holidays are always crunching prices - we were doing it long before the credit crunch was named - but you are always assured of a good quality, no compromise short break by coach. If you have never booked a short break at the last minute, go on, what are you waiting for!